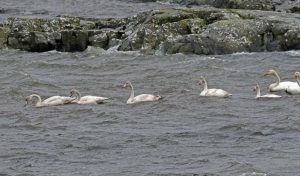 TIREE: A sea-watch off Hynish (8:10 -9:15) produced highlights of – 1 Manx and 1 Sooty Sheatwater, 6 Arctic Skua, 2 Great Skua, 1 Arctic Tern, 2 Great Northern Diver, 780 large auks and 214 Kittiwakes (Jim Dickson). MID-ARGYLL: A report this morning of a Lesser Whitethroat seen in a hedge at Tesco fuel station in Oban (Dave Lamacraft). 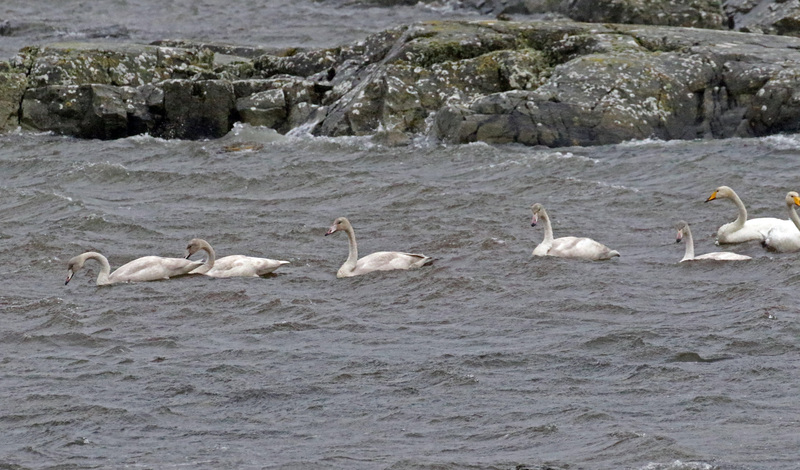 MULL: A large family of Whoopers today at Loch na Keal (Mike Murphy). 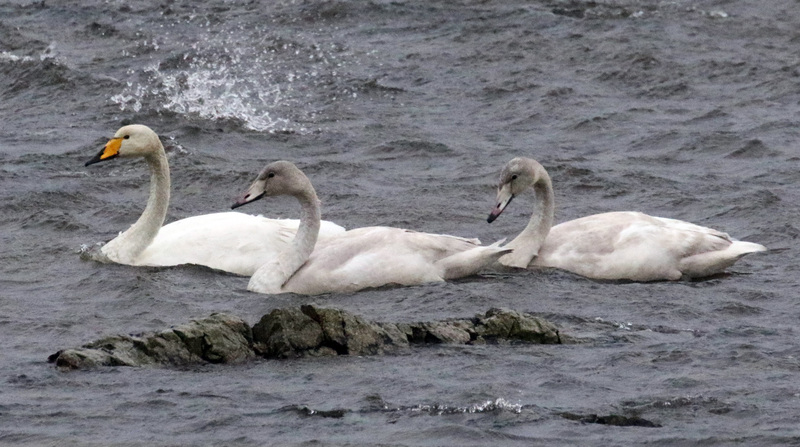 WHOOPER SWANS – Loch na Keal, Mull 7th Oct (Mike Murphy).